Do you need some professional help setting up your CCTV DVR Security System and its connection to the Internet or your mobile phone? 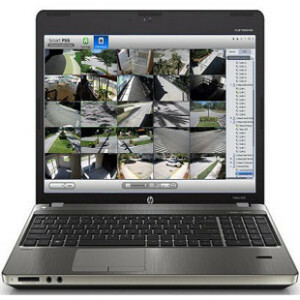 • Want to set up your CCTV security kit and DVR but don’t have the required IT knowledge? We can help! • This service is available for anybody who has a CCTV System Installed. J Paul Security are pleased to introduce our professional Internet and smartphone service, where one of our technically trained advisors will remotely assist with your network configuration and setup. At this point you can then call our Technical team on 07817389252 and we can then book the set-up appointment at a time convenient to you. We will then send you an email confirmation of the booking. You simply then need to have your router’s username and password available, plus have downloaded the remote access software Teamviewer in readiness for when our advisor calls. Don’t worry, we will provide you with a link to the software prior to your call. It’s as simple as that and we can then take care of the rest. Whilst we embark on taking all due care in the use of your computer, we cannot guarantee this service will resolve the IT problem or that the attempt to resolve technical issues will not cause additional problems or further support call. We are not liable for any consequential damages and it is the Customers responsibility to backup all applications and data prior to the session. NB. Please close any personal or confidential information on your screen, as the technician will be viewing your desktop. When you have agreed to use our remote service you will need to initiate a secure connection with one of our Technicians. In order to create this connection, you will be emailed a link to download a module to your system that will communicate with our engineer’s computer. Our engineer will explain how you can download this module.